Are you excited about Fallout 4? If not, well, you should be. 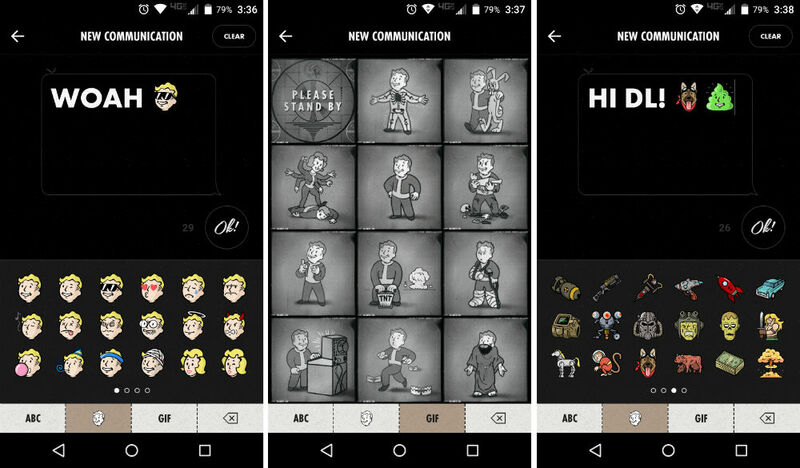 It’s gearing up to be a major launch, and if you are hyped like the rest of the world, then you should check out Fallout C.H.A.T., an app released to Google Play by the good folks at Bethesda. While it seems that the developers describe this as a messaging app, don’t be misled. It is basically an image database, filled with tons of emoji and GIFs that you can share through whichever app you choose. You can type text, add emoji, then convert whatever you make into a sharable image through Hangouts, Gmail, or whatever app you use. For me personally, the text and emoji are not great, but the GIFs are stellar. For GIFs, you have a savior, TNT exploder, octopus-like humanoid creature, and a ton of other fun moving images to share with friends. All of your friends will be jealous, no doubt. The app is completely free to download on Google Play.